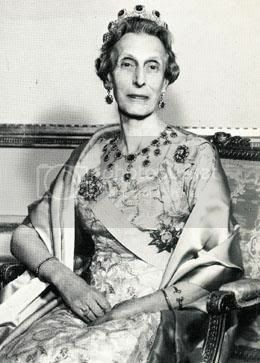 "Lady Louise Mountbatten" redirects here. For the granddaughter of Elizabeth II, see Lady Louise Windsor. 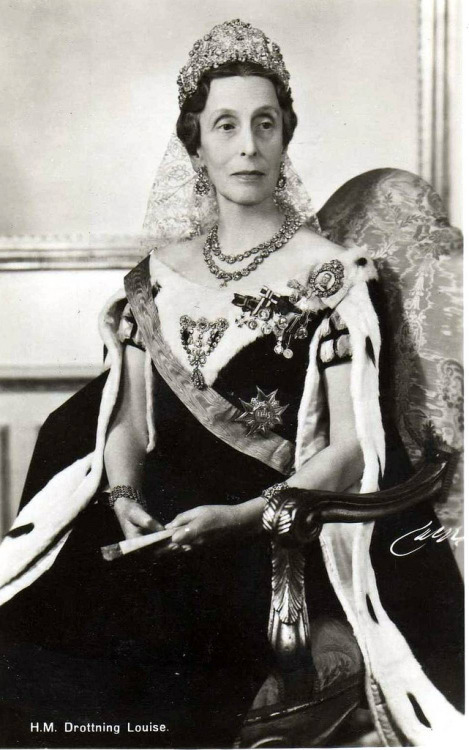 Lady Louise Alexandra Marie Irene Mountbatten (13 July 1889 – 7 March 1965), previously Princess Louise of Battenberg, was Queen of Sweden from the accession of her husband, Gustaf VI Adolf, in 1950 until her death. Prince Louis and Princess Victoria with their two daughters, Alice and Louise, in 1889. Louise was born a Princess of Battenberg at Schloss Heiligenberg, Seeheim-Jugenheim, in the Grand Duchy of Hesse. Her father, Prince Louis of Battenberg, who was Admiral of the Fleet in the United Kingdom, renounced his German title during World War I and anglicised his family name to "Mountbatten" at the behest of King George V. He was then created the first Marquess of Milford Haven in the peerage of the United Kingdom. From 1917, therefore, his daughter was known as "Lady Louise Mountbatten". Her mother was Princess Victoria of Hesse and by Rhine, a granddaughter of Queen Victoria. 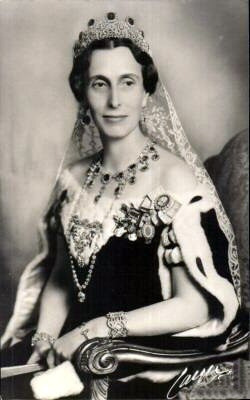 Louise was a sister of Louis Mountbatten, 1st Earl Mountbatten of Burma, and of Princess Alice of Battenberg, who was the mother of Prince Philip, Duke of Edinburgh. She was also a niece of Empress Alexandra Feodorovna of Russia. Because of her father's work, the family moved around between different British territories, such as Malta, but they returned often to the Heiligenberg outside Darmstadt which they considered their holiday home, always retaining residence in England. Louise often visited her great-grandmother Queen Victoria on the Isle of Wight with her mother during her childhood. The family is described as harmonious; the parents of Louise lived in a happy loving relationship, not in an arranged marriage, and Louise was particularly close to her brother, with whom she corresponded until her death. Louise and her sister were educated by governesses, except for a brief period at Texter's girls school in Darmstadt. In 1914, Louise and her mother visited Russia, and were invited to a trip down the Volga with their Imperial relatives. During her visit, Louise noted the influence of Rasputin with concern. The trip was interrupted by the sudden outbreak of World War I, and Louise's father telegraphed for them to return immediately. Louise's mother gave her jewellery to the empress for safe keeping, and they left Russia by boat from Hapsal in Estonia and travelled to neutral Sweden, paying for the trip with gold, as their money was suddenly not acceptable currency in Russia. They stayed in Sweden as guests of the Crown Princely couple (her future husband and his then wife, Margaret of Connaught, who was also her first cousin once removed) at Drottningholm Palace, just one night before they returned to Great Britain. During World War I, Louise was first active within the Soldiers and Sailors Families Association and the Smokes for Soldiers and Sailors, but she soon enlisted in the Red Cross for service as a nurse. 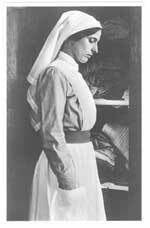 She was active at a French military hospital in Nevers, and then at a war hospital at Palaves outside Montpellier, from March 1915 until July 1917. She was commended for her hard work, and was awarded The British War and Victory Medals, a medal from the British Red Cross, as well as the Médaille de la Reconnaissance française. After the war, she was active in social work for the children in the slums of Battersea in London. 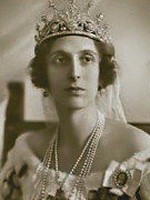 In 1909, Louise received a proposal from King Manuel II of Portugal. Edward VII was in favour of the match, but Louise declined, as she wished to marry for love. In 1913, having been deposed in 1910, Manuel married Princess Augusta Victoria of Hohenzollern in exile, but their marriage was childless. At the age of twenty, Louise became secretly engaged to Prince Christopher of Greece, but they were forced to give up their relationship for financial reasons. While living in exile more than 10 years later, he would wed the wealthy widow, Nancy Stewart Worthington Leeds, and after her death Christopher would marry Princess Françoise d'Orléans in 1929. Shortly before World War I broke out, Louise fell in love with a man of whom her parents approved but he was killed in the early days of the war. Later during the war, while she volunteered as a nurse in Nevers, she began a relationship with Alexander Stuart-Hill, a Scottish artist living in Paris. Anticipating that her parents would be disappointed in her choice, Louise kept their engagement a secret. Eventually, she confided in her parents, who were initially understanding, and invited Stuart-Hill for visits at Kent House twice. In fact, her family, referring to him as "Shakespeare" because of his odd appearance, found him "eccentric" and "affected". Lacking resources, the engaged couple agreed to postpone marriage until after the war. But in 1918 Louise's father explained to her that Stuart-Hill was most likely homosexual, and that a marriage with him was impossible. In 1923 Crown Prince Gustaf Adolf of Sweden, having been for three years the widower of Louise's mother's cousin Princess Margaret of Connaught, paid a visit to London and, to Louise's surprise, began to court her. Although as a young woman Louise had said that she would never marry a king or a widower, she accepted the proposal of a man destined to be both. However, under §5 of the 1810 Swedish Succession Law (Act 1810:0926), a prince of the Swedish royal house forfeited his right of succession to the throne if he "with or without the King’s knowledge and consent, married a private Swedish or foreign man’s daughter" (med eller utan Konungens vetskap och samtycke, tager till gemål enskild svensk eller utländsk mans dotter). Once the couple's engagement was announced, there were lively discussions in the media about whether the bride-to-be was constitutionally eligible to become Sweden's future queen. In response the Swedish Foreign Ministry, citing the law in question, clarified the term "a private Swedish or foreign man's daughter" to mean "he who did not belong to a sovereign family or to a family which, according to international practice, would not be equal thereto" (som icke vore medlem av suverän familj eller familj som enligt internationell praxis vore därmed likställd), and announced that the Swedish government had "requested the British government's explanation of Lady Louise Mountbatten's position in this respect." The ministry further announced that following the British government's reply to its inquiry and the subsequent investigation into the matter, it had been determined that the Crown Prince's choice of a future wife was in compliance with the succession law, thereby concluding debate on the imminent nuptials. On 27 October 1923 Sweden and Britain's respective plenipotentiaries signed the "Treaty between Great Britain and Sweden for the Marriage of Lady Louise Mountbatten with His Royal Highness Prince Gustaf Adolf, Crown Prince of Sweden". The treaty stated, in part, that the kings of the United Kingdom and Sweden "having judged it proper that an alliance should again be contracted between their respective Royal Houses by a marriage...have agreed upon and concluded the following Articles", which articles declared that the marriage would be celebrated in London and duly authenticated, that the couple's financial settlements would be expressed in a separate marriage contract which was declared to be "an integral part of the present Treaty", and that the two nations' ratifications of the treaty would be exchanged in Stockholm, which formally occurred 12 November 1923. On 3 November 1923, at age 34, Louise married Crown Prince Gustaf Adolf, in the Chapel Royal at St. James's Palace in the presence of King George V and members of both royal families. The marriage between Louise and Gustav Adolf was by all accounts a love match and described as very happy. She was also liked by her mother-in-law because of her friendly nature, although they seldom saw each other, as Queen Victoria spent most of her time in Italy. The fact that the queen spent most of her time abroad meant that Louise took on many royal duties from the beginning, which was initially hard for her as she was at this point described as quite shy. After the queen's death in 1930, Louise was officially the first lady of the nation, expected to perform all the duties of a queen, twenty years before she actually became queen. This meant that Louise was to take over the protection of all the organisations and associations traditionally assigned to the queen. She was made the protector of the Swedish Red Cross, Kronprinsessan Lovisas Barnsjukhus, Eugeniahemmet, Drottningens centralkommitté, Arbetsflitens Befrämjande, Sophiahemmet and Svenska Hemslöjdsföreningarns Riksförbund. Regarding this matter, Louise remarked: "It is hard for me to be the protector of different institutions, as I have been accustomed to practical work, as an ordinary person, before my marriage". As a former nurse, a fact she was proud to point out, Louise was interested in improving the working conditions for nurses. Louise's only child, a daughter, was stillborn on 30 May 1925. In 1926–1927, the crown princely couple made an international trip around the world to benefit Swedish interests, which was described as a great success, especially the trip to the United States, during which they travelled across the nation from New York City to San Francisco. Public interest was high, and the couple acquired a reputation for being "democratic", after having refused such formalities as greeting the guests at a reception sitting on thrones, which they had been invited to do at the reception of an American millionaire. During an interview in Salt Lake City, Louise stated that she believed in gender equality and that women are fully capable of being active within all professions and in the business world, as well as within politics: "Women are completely intellectually equal to men and, provided they are given sufficient education, are just as capable to deserve respect and admiration as men in this field". In 1934–35, she made a similar trip with Gustav Adolf to Greece and around the Middle East and Africa, called the Orient Tour. In 1936, Louise attended the funeral of George V of Great Britain. During World War II, Louise was active in aid work within the Red Cross. She collected candles and other non-electric light sources for the needy during the campaign "Vinterljus" (English: Winter Lights). Another contribution was Kronprinsessans Gåvokommitté för Neutralitetsvakten (English:"The Crown Princess Gift Association For the Neutral Defence Forces"), which provided the soldiers mobilised to guard the borders of neutral Sweden with gifts: normally socks, scarfs and caps knitted by contributors from all over the country. As a citizen of a neutral country, Louise was also able to act as a messenger between relatives and friends across warfaring borders. She also provided supplies to many private citizens in this way, such as "two old ladies in Münich", the former German language teacher of her husband's late wife, and the exiled Princess Tatiana of Russia in Palestine. It is said many would have died, had it not been for Louise's help. In 1940, for example, she sent supplies to the British major Michael Smiley at the Rifle Brigade, who was captured and placed in a prisoner of war camp, after his mother-in-law Alicia Pearson had asked for her help. During the Finnish Winter War, Louise set up a home for Finnish war orphans at Ulriksdal Palace. In 1950, Louise became queen after accession to the throne of her husband. Louise is described as a true democrat at heart, and was therefore somewhat disturbed at being celebrated merely in her capacity of queen. In reference to the attention, she remarked: "People look at me as if I were something special. Surely I do not look differently today from how I looked yesterday!" Louise disliked the strict pre-World War I protocol at court, retained during her mother-in-law's era, and reformed it when she became queen, instituting new guidelines in 1954 which democraticised many old customs. 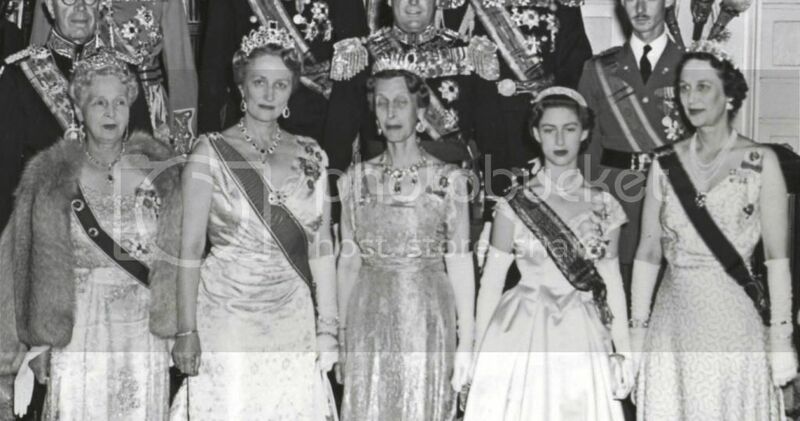 In 1962, she abolished the court presentations, replaced them with "democratic ladies' lunches", to which she invited professional career women, a custom which was to continue under Princess Sibylla after her death. Louise also renovated and redecorated the interior of the Royal Palace in Stockholm. Louise was described as eccentric for royalty and temperamental; she could get very angry, but was said to possess a good heart, a great sense of humour, a sense of self irony and was able to distinguish between herself and her royal role. She could show her sympathies openly, and this was taken as a sign of her honesty. One courtier commented, "I would describe the queen as a 'gentleman'. She would never avoid acknowledging her own mistakes". Louise is described as a great lover and patriot of her new home country, and was often shocked by Swedish non-patriotic customs. She was a supporter of the political system and democracy in the form it had developed in Sweden and stated her opinion to her relatives that no other political system than the Swedish one had created such a happy development for any nation. Queen Louise also admired Swedish nature and in particular Swedish women, because of what she considered their natural dignity regardless of class, and remarked that she had never seen a country with less vulgarity than Sweden. Queen Louise had several Pomeranian dogs which she would hide about her person when visiting abroad which caused problems when travelling through customs (which she usually did under the pseudonym "Countess of Gripsholm" or "Mrs Olsson"). After having taken summer vacations with her husband in Italy every year, she always departed before he did to visit England prior to returning to Sweden. A popular story told of her alleges that Louise, after almost being hit by a bus in London (because she would often jay-walk), took to carrying a small card with the words, "I am the Queen of Sweden" printed on it, so that people would know who she was in case she was hit by a vehicle. In London, she often stayed at the Hyde Park Hotel, often crossing a heavily trafficked street there to shop, which prompted her note. In 1963, Louise accompanied her spouse on a state visit to France, where she made a great impression on President Charles de Gaulle. At dinner, she said to him: "I must ask you to excuse my ugly French. My French is the one spoken in the trenches of 1914." De Gaulle later attended her memorial in Paris, which was the first occasion for a French president to visit the Swedish church there, as well as one of only two occasions de Gaulle visited a memorial service of this kind. 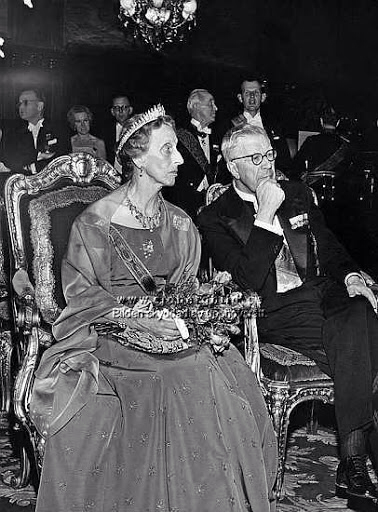 Queen Louise's last official engagement was the Nobel Prize dinner of 1964, during which no one noticed that she was in fact already ill.
Queen Louise died on 7 March 1965 at Saint Göran Hospital, in Stockholm, Sweden, following emergency surgery after a period of severe illness. She had made her last public appearance at the Nobel Prize Ceremony in December 1964. Queen Louise is buried beside her husband and his first wife, Crown Princess Margaret, in the Royal Cemetery in Solna north of Stockholm. Queen Louise was the second of the four children of Prince Louis of Battenberg, by his wife Princess Victoria of Hesse and by Rhine and a great-granddaughter of Britain's Queen Victoria. Both Queen Louise and her stepchildren were great-grandchildren of Queen Victoria. ^ a b c d e f g h i j k l m n o p q r s t u v w x y z aa ab ac ad ae af ag ah ai Fjellman, Margit. (1968). 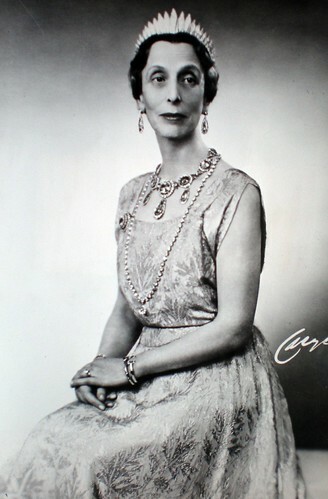 Louise Mountbatten, Queen of Sweden. London, Allen Unwin. ISBN 978-0-04-923044-6. ^ a b c d Hugo Vickers. 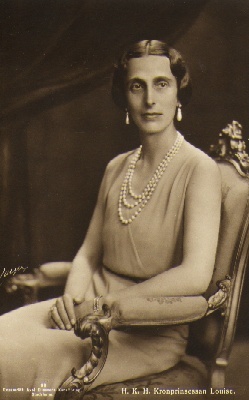 Alice, Princess Andrew of Greece. Macmillan, 2003, pp. 127–130. ^ "Treaty between the United Kingdom and Sweden for the Marriage of Lady Louise Mountbatten with His Royal Highness Prince Gustaf Adolf Crown Prince of Sweden". UK Treaty Series. 002/1924 (Cmd. 2027). 1924. ^ Pigott, Peter (2005). Royal Transport: An Inside Look at the History of Royal Travel. Dundurn Press Ltd. ISBN 1-55002-572-4. ^ a b c d "Queen Louise of Sweden". forum.alexanderpalace.org. Retrieved 6 September 2015. ^ "Flickr". m.flickr.com. Retrieved 6 September 2015. ^ "Image: 1069815324761_Sweden2.jpg, (260 × 363 px)". i49.photobucket.com. Retrieved 6 September 2015. ^ "Image: tumblr_mpvrt9RMVC1qiu1coo4_250.jpg, (250 × 400 px)". 41.media.tumblr.com. Retrieved 6 September 2015. ^ "Image: tumblr_n5tumsz9gj1tv9pdho1_500.jpg, (469 × 750 px)". 40.media.tumblr.com. Retrieved 6 September 2015. ^ "Anfragebeantwortung" (PDF). 24 April 2012. Retrieved 6 September 2015. ^ "King Gustaf Adolf V: of Sweden with his grand daughter Queen Ingrid of Denmark | Royalty of Denmark | Pinterest". pinterest.com. Retrieved 6 September 2015. ^ "Glittering Royal Events Message Board: Re: Swedish State Visit to France/previous French-Swedish State visits". Archived from the original on 14 December 2014. Retrieved 6 September 2015. ^ "Image: Photo%25252011%252520Feb%2525202013%25252018%25253A35.jpg, (378 × 512 px)". lh5.googleusercontent.com. Retrieved 6 September 2015. ^ "Het geheugen van Nederland". geheugenvannederland.nl. Retrieved 6 September 2015. ^ "Princess Alice, Countess of Athlone". forum.alexanderpalace.org. Retrieved 6 September 2015. ^ "Image: 1948_zps3676934b.jpg, (1024 × 539 px)". i2.photobucket.com. Retrieved 6 September 2015. ^ a b c d e f g h Weir, Alison (1996). Britain's Royal Families: The Complete Genealogy (Revised ed.). London: Pimlico. pp. 305–307. ISBN 0-7126-7448-9. ^ a b Franz, E.G. (2005). Das Haus Hessen: Eine europäische Familie. Stuttgart: Kohlhammer. pp. 164–170. ISBN 978-3-17-018919-5. OCLC 76873355. ^ a b "Marie of Hesse-Darmstadt (1824–1880)". Women in World History: A Biographical Encyclopedia. Gale Research. 2002. ^ a b Lambton, Antony (1989). The Mountbattens: the Battenburgs and young Mountbatten. Constable. p. 232. ISBN 9780094688209. ^ a b "Portret rodziny Lafontaine'ów, Leopolda (1756-1812) chirurga z żoną Teresą z Kornelich (1768-1827) i córkami Zofią (?-1831) i Wiktorią (1800-1849)". The National Museum in Warsaw (in Polish). Retrieved December 3, 2018. ^ a b Steiner, Johann W. (1849). Zur Geschichte des Grossherzogthums Hessen: von 1790 bis 1848 (in German). Selbstverl. pp. 108–109. Wikimedia Commons has media related to Queen Louise of Sweden.